I really love making children’s clothes. I guess it’s because they are small and cute and come together so quickly. 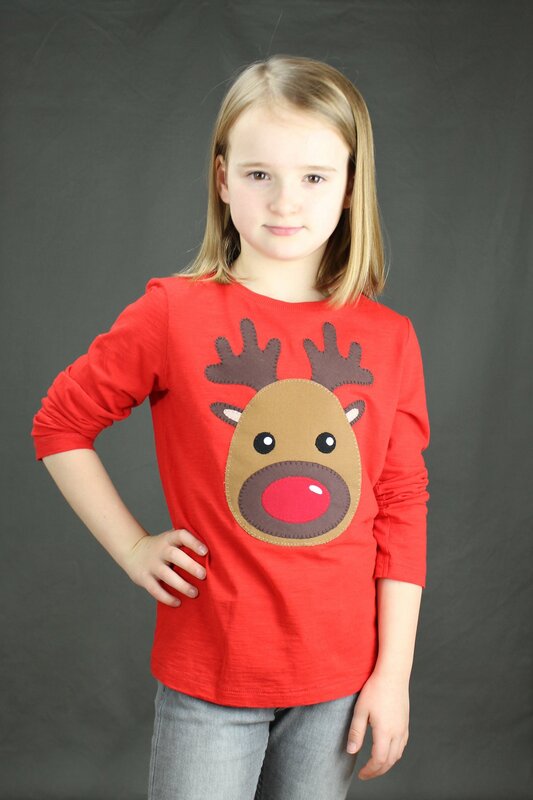 Applique is a great skill and using applique on a t-shirt is a great way of creating something fun and unique. Applique is a relatively quick and simple skill and if you’ve got a stash like I do, more often than not you’ll have everything you need to get going straight away! 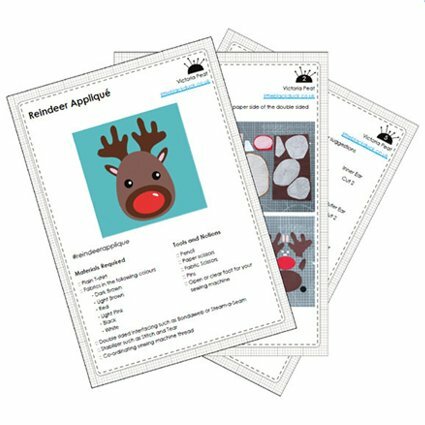 The pdf pattern makes a Reindeer head that is about 10″ high and 7″ wide. I have digitally drawn all of the pattern pieces so they are nice, neat and accurate and you are well on your way to getting great results. I have included step-by-step instructions and photographs and there is a page of information that talks through some of the stitches that you might like to use to applique your design. The pdf pattern is a total of 7 pages long, of which the pattern pieces take up just two pages. If you would like to buy a copy of the pattern it is available from the Little Black Duck Etsy store. 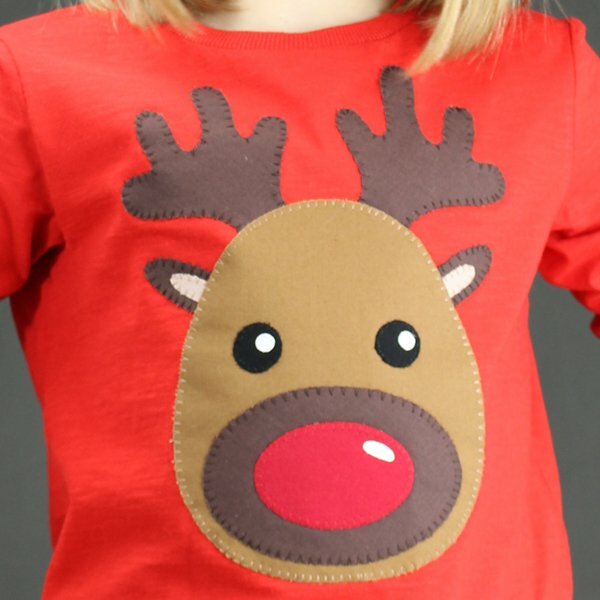 If you are posting pictures of your makes on social media use #reindeerapplique so that we can all see your makes!